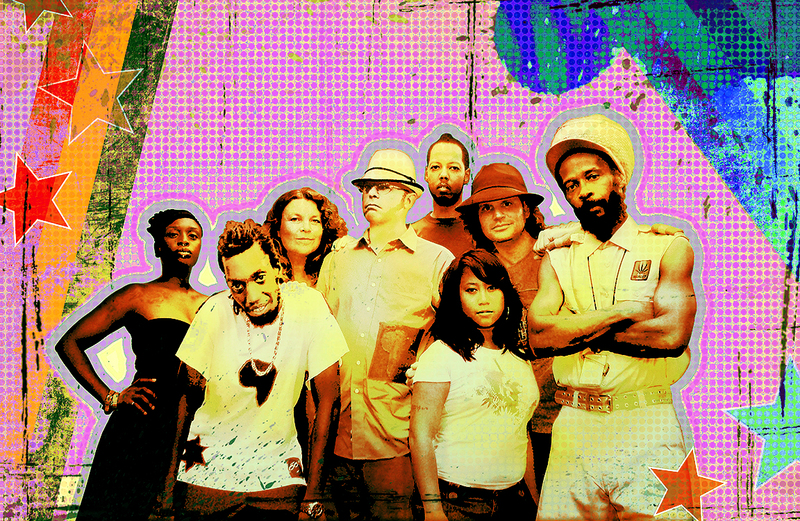 I haven’t heard anything from the Easy Star All-Stars, the New York collective who specialize in covering popular albums in a reggae/dub style, since their 2006 release of Radiodread, a ‘re-envisioning’ of Radiohead’s ‘OK Computer’, but I found out today they’ve returned with Easy Star’s Lonely Hearts Dub Band…a reggae retelling of The Beatles Sgt. Pepper’s Lonely Hearts Club Band! This time round they’ve invited reggae, dancehall and dub superstars such as Steel Pulse, Matisyahu, Michael Rose of Black Uhuru, Luciano, U-Roy, Bunny Rugs from Third World, Ranking Roger of The English Beat, Sugar Minott, Max Romeo, The Mighty Diamonds and the guest vocalist on this track, Frankie Paul, to pay homage to one of the greatest records in Rock & Roll. I guess if you’re gonna take on a Beatles classic, you had better load up with that kinda talent. If you like this, you might wanna check out an even earlier re-do…Dub Side of the Moon…their dub reggae tribute to Pink Floyd’s ‘Dark Side Of The Moon’, and of course, you can always head on over to MySpace to listen to more!